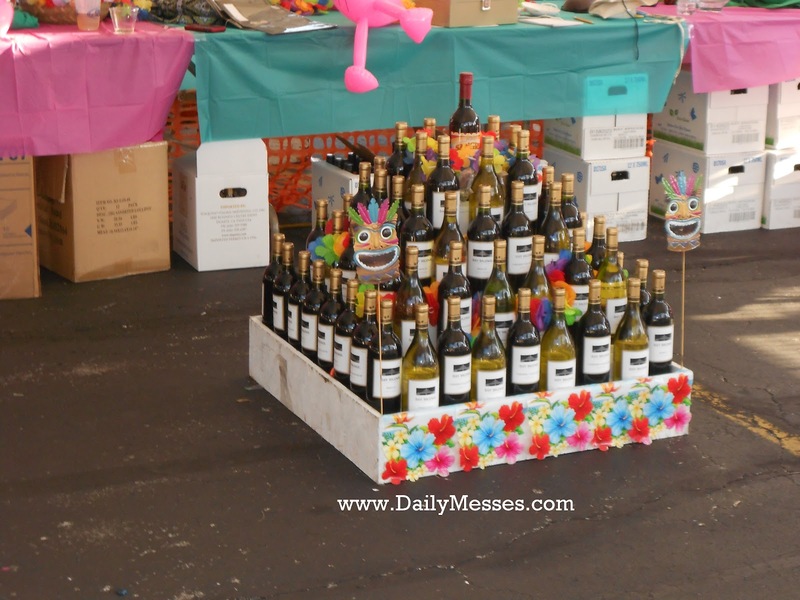 Daily Messes: Fairs, Festivals, and Fun! 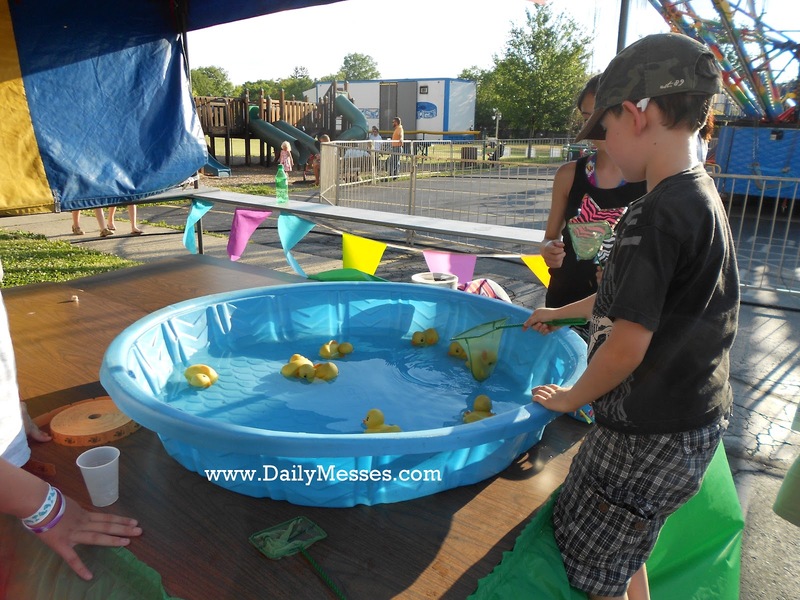 Did you go to any fairs or festivals this summer? 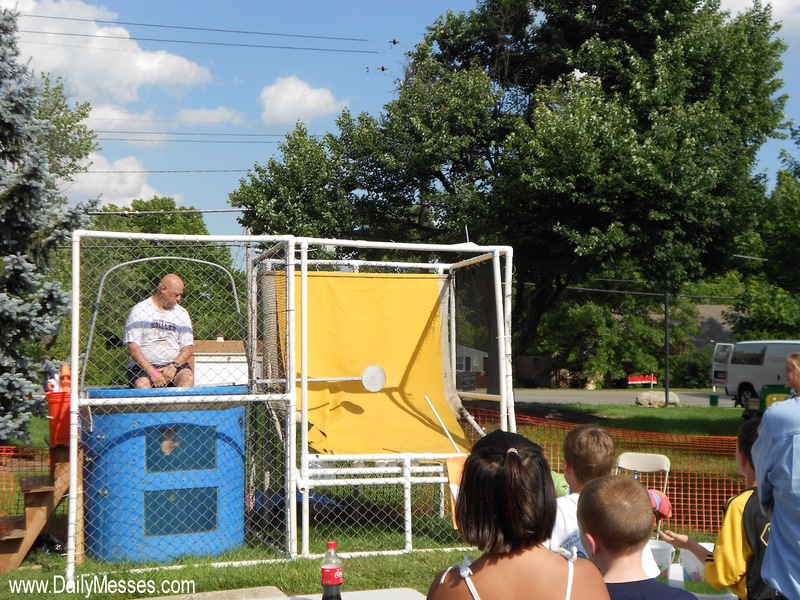 We hit our share this year: various local festivals and fairs and the state fair. They're all a little different. 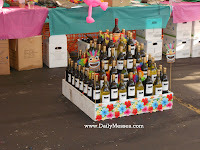 There was a lot of the traditional booths and some new crazy ones! 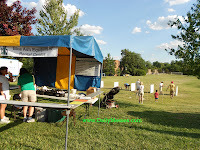 We have a lot of local and church festivals near us. Each one is slightly different, although they always have food and games. Here's what we saw this year. Sucker Pull. This is one of my kids favorites because you always win. 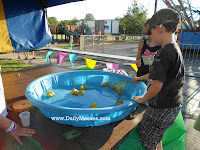 Duck race complete with a 15 foot long table running water race track. 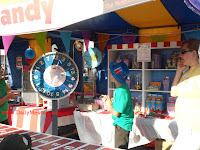 Candy Booth. You placed your bet on the number you thought the spinner would land on. If you won, you got to pick from the shelves of candy. 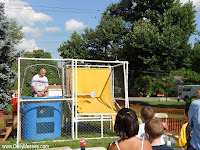 Dunking booth (no one got dunked while we were watching). Slot machine booth. Just like the real casino, I left with a lighter wallet. An ice cream truck that served ice cream and frozen chocolate covered cheesecake. Yummy! 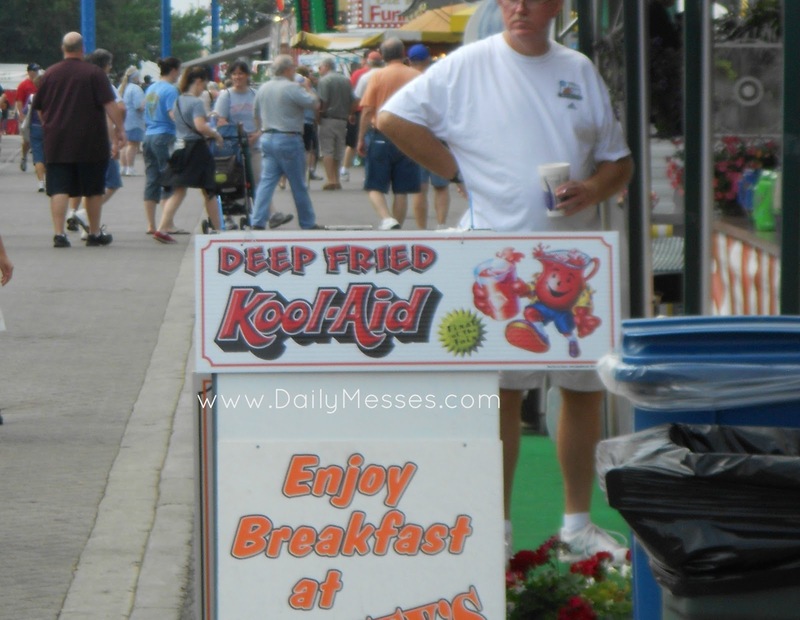 The state fair is always an adventure. We have to drive a couple of hours to get there, but the kids have a blast. There is a lot to see, do, and of course eat. Petting Area. You could also feed the animals if you bought the food. Food. 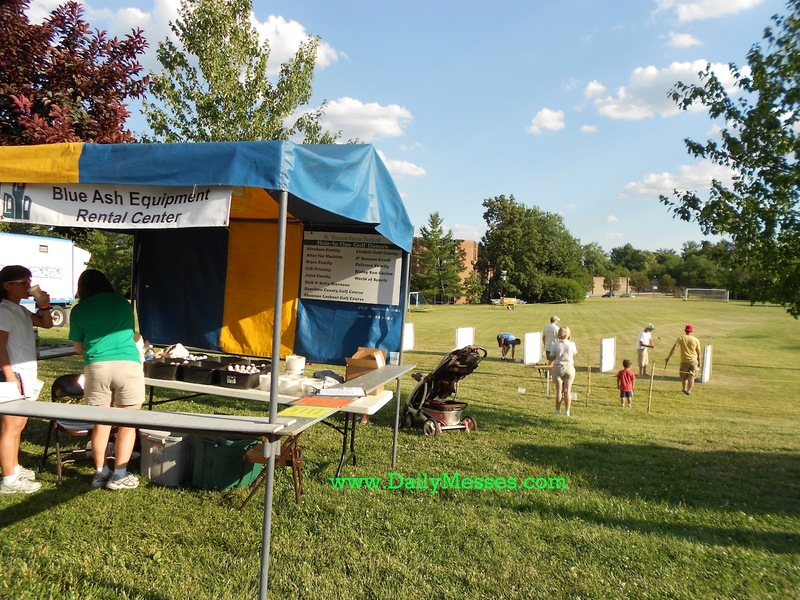 There is always plenty of deep fried food, hamburgers and hot dogs, fries, lemonade, etc. There is a local restaurant that is there every year and they serve huge cream puffs! Free samples. Hubby was especially happy with the free bacon they were handing out. Fire safety and driving safety information. Deep Fried Kool-Aid. I admit that I was curious but I was scared too. The scared won and I didn't try it. Mobile trailer with Wii games the kids could play for free. 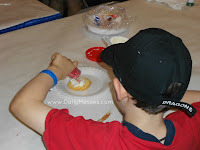 Make your own cookies! This wasn't super crazy, but it was the first time we had seen it. The kids got to decorate their own cookie (and eat it). It was a big hit with the boys. Milk a cow. They have this every year, but I put it in the Crazy section, because where else are my kids going to be able to milk a cow? Inflatable fire safety house and an adorable black lab to pet. Teeth brushing station. That's right, a teeth brushing station. Sensodyne was giving away a free toothbrush, container, and 2 toothpaste samples. However, you had to brush your teeth at their station to get the freebies! I'm not sure which was our favorite. The boys love seeing the animals at the state fair and the free samples (Who knew they would be so excited to get a pen just because it was free?). 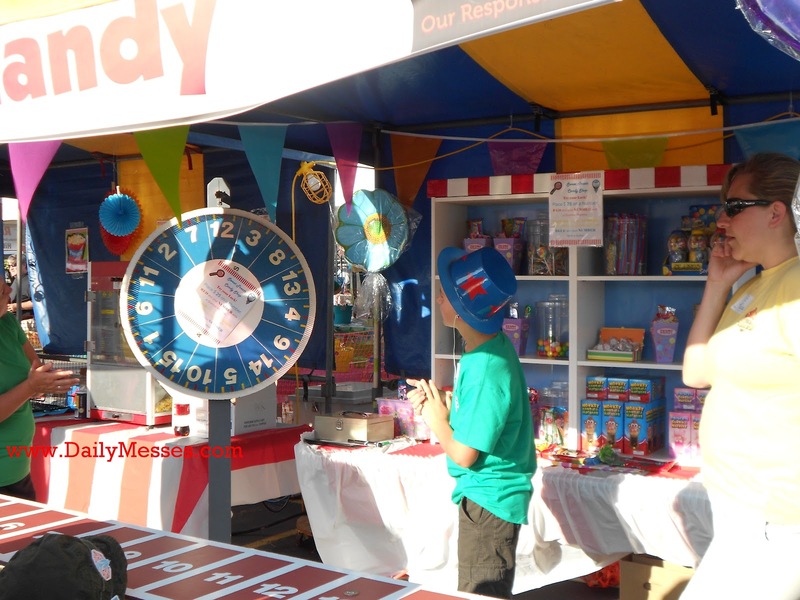 They get to play more games at the local and church festivals though, and they love playing games. 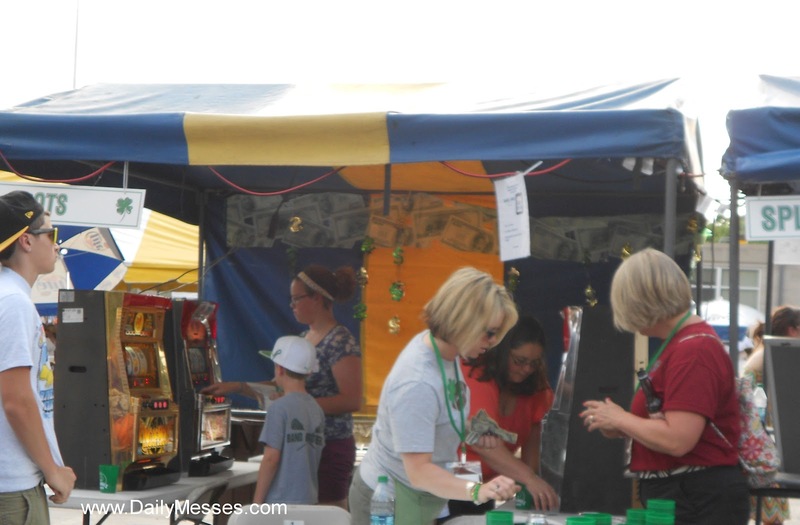 Did you go to any fairs or festivals this year? Which was your favorite? What was your favorite part? What was the coolest thing you saw?